Merchants should have received their credit card processing statements for January 2017 activity. They should take the time to review three important items. It’s not uncommon for merchants to have a higher than normal number of customer refunds in January. However, not all processors handle customer returns fairly and properly. In fact, some see customer refunds as another revenue stream, which can be costly for the merchant. When a customer returns an item, the merchant makes nothing on the sale. So what is a fair processing cost on zero net sales? It depends on your processor. In fact, some see customer refunds as another revenue stream, which can be costly for the merchant. Visa, MasterCard, and Discover return the interchange rate to the processor on most customer refunds. American Express does not, generally. But just because the card companies return the interchange to the processor doesn’t mean that your processor will return it to you. In fact, some processors not only keep the interchange, they charge a second processing fee on the refund transaction. Review your January statement to determine if your processor is (a) returning the interchange on customer refunds, (b) keeping the interchange on customer refunds, or (c) keeping the interchange on customer refunds plus charging a processing fee on the refund transaction. The reason for checking the above goes beyond the extra cost the merchant may be paying. In my experience, how a processor treats a merchant on customer refunds can be a harbinger on other rates and fees. In other words, if your processor is not returning the interchange on customer refunds then it may have you on the wrong plan or it may be inflating other fees. However, if you do the math you will find the $102.45 in this example never reaches the bottom line. If you see this, determine if the processor sent a check for the refund, deposited the refund in your account, or never credited your account for the refunded interchange. Starting with January 2017, make it a point to read the notices on the statement each month this year. Processors generally insert notices on the last page, although some insert them on the first. The notices can be advertising for other products and services. However, more importantly, they may have pertinent information on changing PCI security requirements or on upcoming rate and fee changes. Cardholder security is most important. If there is a notice on PCI security and you do not understand it or how it impacts your business, contact your processor to review the impact on your business. Processors generally announce rate and fee changes one to three months prior to implementation. Reading any notice on rate or fee increases will give you time to discuss the changes with the processor. Specifically, determine if the increase is due to the card companies increasing their rates and fees or if it is due to the processor’s desire to make more revenue. If the former, the processor should provide proof that the increase is entirely due to card company changes. If the latter, decide if you find this to be an acceptable practice from your processor. Reading any notice on rate or fee increases will give you time to discuss the changes with the processor. Always remember that there are hundreds of processors that would love to have your business. Keep in mind that your contract or the notice on the statement may state that you automatically agree to all rate and fee changes if you do not object and if you start processing under the new structure. Merchants should review the notices on their October through December 2016 statements for rate and fees changes. Besides the standard rate and fee increase notices, I have seen significant increases, such as new quarterly fees (charged four times per year) and new “advance funding” fees, among others. The card companies haven’t introduced new quarterly fees. So any new quarterly fee is processor driven. … I have seen significant increases, such as new quarterly fees (charged four times per year) and new “advance funding” fees, among others. The advanced funding fee isn’t new. Some processors have charged this fee for years. However, more processors have recently started. “Advanced funding” refers to the merchant requesting that the processor debit its fee once a month, normally at the end of the month, instead of each day during the month. In other words, say your total monthly processing fee was $3,000. The processor will now charge generally from 0.02 to 0.05 percent on your monthly processing volume if you want the $3,000 debited at the end of the month instead of having it debited at $100 per day (on average) through the course of the month. Most merchants prefer to be debited once a month for reconciliation purposes versus debited daily. Lastly, statements generally have a fee section. Compare the fees on the October 2016 statement to the fees for January 2017 to see if there have been any changes. Discuss any changes with your processor. Again, if your processor has introduced new fees or increased its fees beyond any card company changes, decide if you find this to be an acceptable practice. Insist on getting the interchange back whenever the card companies reimburse your processor for interchange on customer returns. Always read the notices on the monthly statements. Check the January statement for increases or new fees. 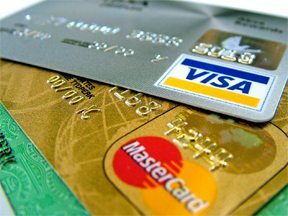 Why Do Credit Card Providers Offer Flat Rate Processing? 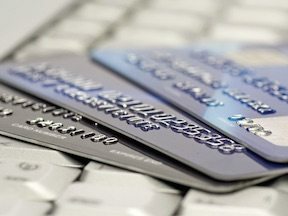 Credit Card Processing: Better to Work with Resellers or Processors?